I’ve often been asked why I bother going to countless flea markets, yard sales and pawn shops looking for old games. In this day and age where the majority of older games can easily be playable with emulators on most PC’s for free (even those from the GameCube\PlayStation 2\original Xbox era) I suppose that’s a fair question. At the same time, there’s a feeling of authenticity that comes with playing the game on the actual cartridge or disc it was made to work from. I totally understand that the developers who made these older games don’t reap any benefits from me buying these games used, but it’s not a question of “doing it legally” for me… it’s about the idea of playing the real deal. 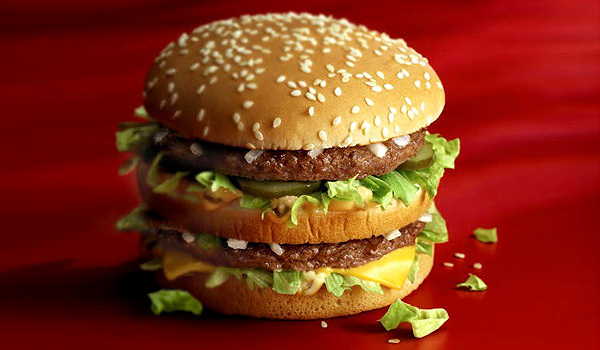 It’s like finding the recipe for Big Mac sauce on the Internet, and you try to make your own two-all-beef-patties-special-sauce-lettuce-cheese-pickles-onions on a sesame seed bun. I mean, it’ll probably turn out pretty good, but it’s just not quite as good as when McDonald’s makes it for you. Because of that, roms just don’t cut it for me anymore. Although the Wii and Wii U’s Virtual Consoles are nice, it’s just not the same. 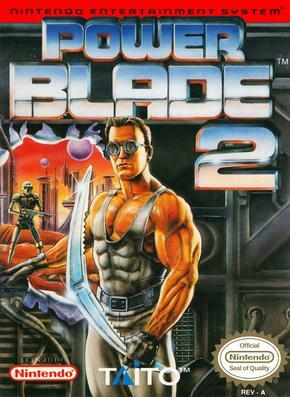 As you’ve probably guessed, Power Blade 2 is the sequel to the number 90 game on my Top 100 list, Power Blade. I enjoyed the original quite a bit and rented it often, but I only rented this one once and didn’t get to play it all that much for some reason. If this game reminds me of anything, it’s that a Nintendo Power article’s unique drawings could go a long way in determining whether or not I wanted to play a game. 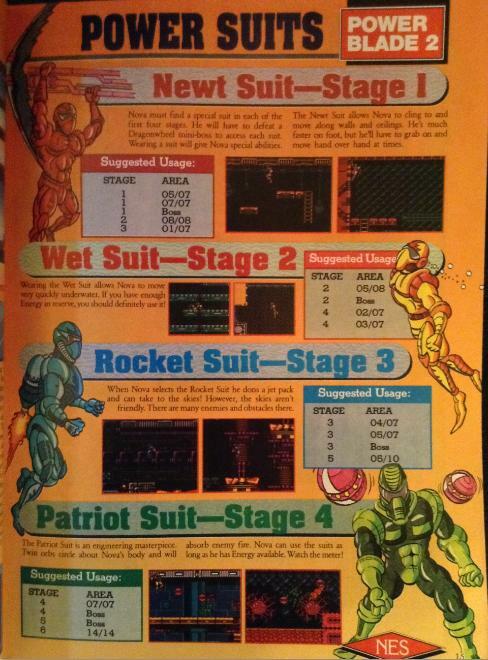 Also, I guess this explains what the suits do. I guess the main reason for this game being so expensive these days is the same as a few others – it probably didn’t sell all that well, so it being uncommon means that as more and more game collectors pick it up, the more they’re able to charge when a sucker like me goes looking for it! Maybe someday, Nova… maybe someday. Anywhere between $265 and $340 cartridge only. 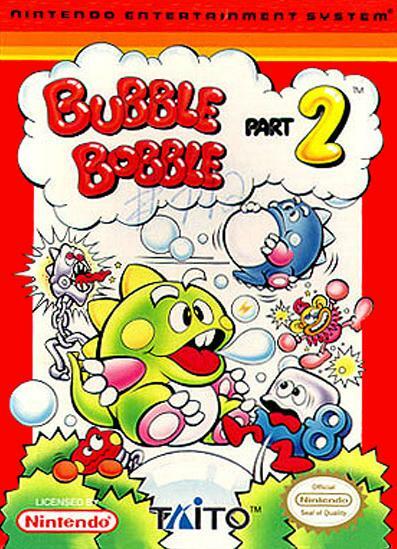 Of all the valuable games in this post, Bubble Bobble Part 2 (ignoring Rainbow Islands completely, apparently) is the one I played and enjoyed the most growing up. It’s more or less the same idea as the first game, but with more vibrant and detailed graphics – at the expense of the frame rate, unfortunately. 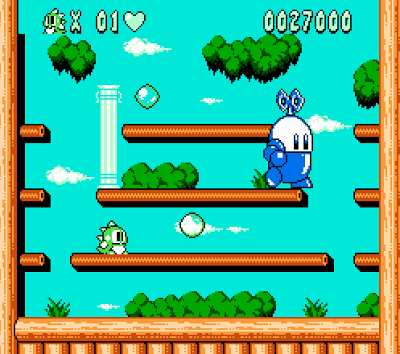 There are also a few levels that actually take up more than one screen (side-scrolling in a Bubble Bobble game??? ), and more frequent boss fights. The main reason this game is harder to find these days is that it was released quite late in the NES’ lifespan, a full two years after the Super NES was released. Many folks had already moved on to the newer console, so quite a few 8-bit games flew under the radar after 1991. Like at the end of the first game, seeing a HUGE version of a regular enemy was amazing. So, after losing my baby teeth, my primary teeth came in pretty crooked. 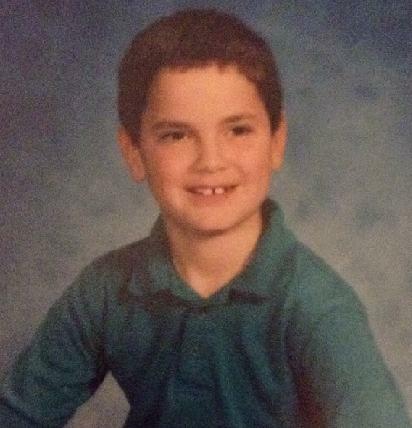 It was pretty obvious I was going to need braces, and in Grade 4, I went in for my first (of three) appointments to get it all done. After getting only 4 of my top teeth done the first time around, I went back again later to add four more on the bottom, and then one final time to have them put on every tooth. On the same day as that last appointment, we also put my cat Fluff down… that day sucked. Anyway, there were 4 years of countless appointments at the orthodontist to tighten things up – a little tweak here, a little tweak there… it was a lot of work to get my teeth into the position they’re in today, and I’m incredibly thankful to have gotten all that work done. To get at this point was incredibly painful, however. I definitely realize there are many more painful things a person can go through – seriously, cancer patients deserve all of the fist bumps – but I can’t stress how much of a wimp I was as a kid. Still am, actually. but boy, did I ever need that pain. In any case, it was the day of one of these check-ups that I rented Bubble Bobble Part 2 for the first time. My teeth were absolutely throbbing by the time I got home and started playing it… and that is quite literally all I remember when I think of this game; dental pain. Anywhere between $274 and $400 cartridge only. 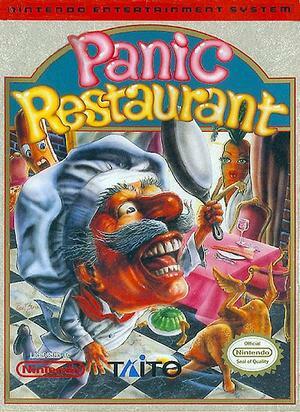 Also lost in the late shuffle of NES releases was Panic Restaurant. I don’t have much to say about it except for the fact that I’ve never played it. It’s about a chef whose restaurant becomes infested with living food and kitchen supplies, and it’s up to him (you) to bash them all into oblivion with his (your) frying pan. Sounds like fun! If you ever find a copy of this game in your travels for less than a hundred bucks, it might be a good idea to pick it up (if only for the re-sale value). Aside from the unlicensed carts, Stadium Events and Nintendo World Championship carts that fetch a ridiculous amount of money (we’re talking four and five digits-worth), these next couple games are some potentially fantastic flea market finds. Anywhere between $550 and $750 cartridge only. 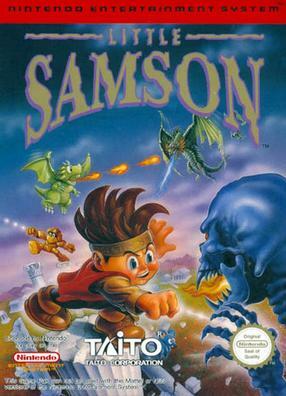 Little Samson is another one of those NES titles that was released after the Super NES hit stores, and sales for the game suffered because of it. It’s pretty hard to find due to being deemed a failure and subsequently being pulled off the shelves, but the crazy prices can also be attributed to the fact that it’s quite fun to play! You can control four different characters at the touch of a button, and each which have their own unique abilities to help explore different parts of the game map. Like Mega Man, you choose the levels you want to play and can re-visit them after completion to get stuff you missed the first time around. While it definitely seems like the kind of game I’d enjoy, I doubt I’ll ever have an income high enough to justify purchasing it. 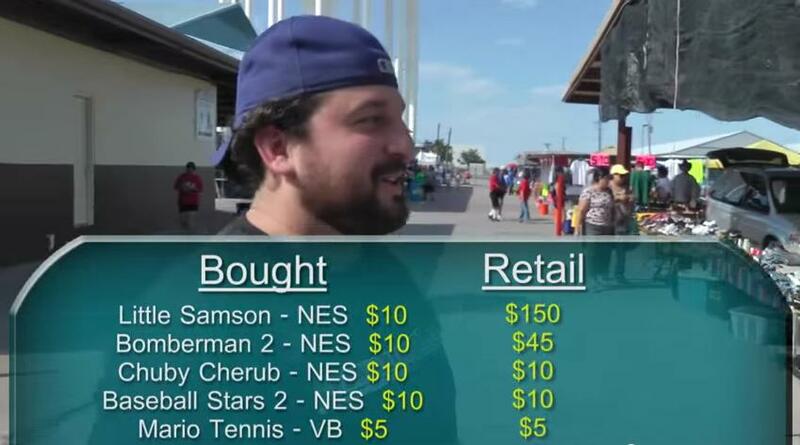 This episode of The Game Chasers is a few years old and the game is worth more than that now, but Shady Jay definitely (to quote the show) caught this flea market vendor slippin’. The final part of this post is dedicated to another sequel to yet another underappreciated game. 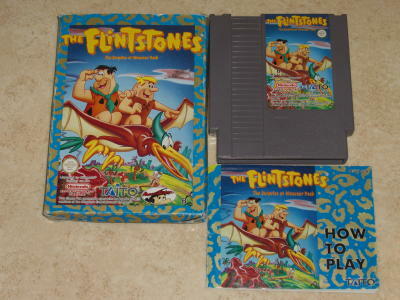 The Flintstones had themselves a pretty solid platformer with the fairly common Rescue of Dino and Hoppy, but decided to take a rather interesting route for the sequel. Anywhere between $650 and $1,000 cartridge only. Back when Blockbuster Video was the king of video store chains, it would be fairly common for them to get certain titles a while before hitting retail store shelves. This exclusivity helped boost Blockbuster’s numbers, as well as help companies garner extra hype for their game ahead of the actual release date. It was a win-win situation! Surprise at Dinosaur Peak was one of these exclusive rentals. Due to its late release in the NES’ lifespan and lack of popularity as a rental, the game never actually made it to retail stores for regular sale. 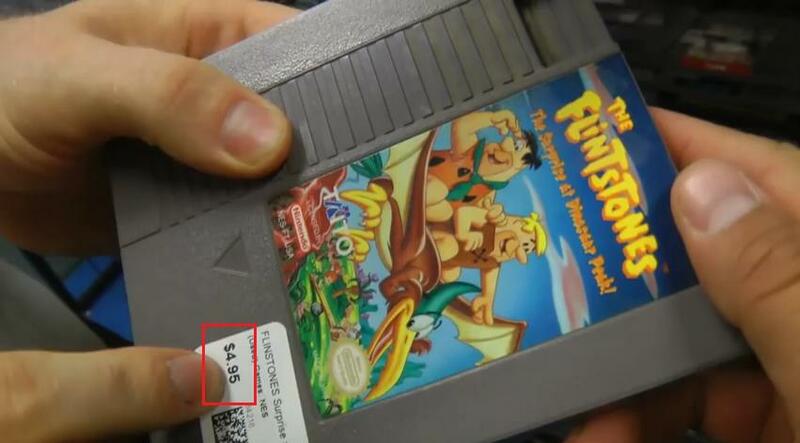 In fact, the first people who can claim to have owned the game relatively early on probably picked it up when their local Blockbuster store liquidated its NES game inventory for one reason or another. It’s one of the hardest-to-find games in the NES library, but don’t lose hope! You could get lucky! Well, I hope you’ve enjoyed this look at one of my favourite gaming companies. For all I know, this could be the tip of the iceberg! The blog’s downtime has given me time to think of a few ideas for the site, and I intend to expand beyond the regular “childhood memory” posts… y’know, just to switch it up a bit.